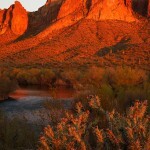 Blog Mountain Biking in Sedona, Arizona. 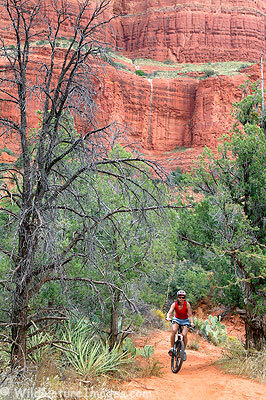 Mountain Biking in Sedona, Arizona. We rented mountain bikes while is Sedona. What an awesome place to ride! This is Janine in the Bell Rock area. 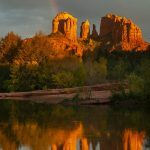 With all the adventure stuff we did in Sedona last year, we thought we might have a decent chance of having a photo published in the Sedona article in this months (November) National Geographic Adventure. They actually passed on all our recreation shots and choose an image of ours of a retail center instead, confirming to me the fact that I can never predict what sells. Here are more biking photos.